It’s been a BIG weekend here in Brisbane. Saturday started out with a phenomenal day of beer, buses, and buddies (best alliteration I could come up with – sorry) on the Fortitude Brewing/Noisy Minor Shout, while Sunday saw day 1 of the event we’ve all been waiting for: Brewsvegas! To say my body is a little beaten up is an understatement, but I’m surviving. The Noisy Minor Shout started off mid day at Scratch. 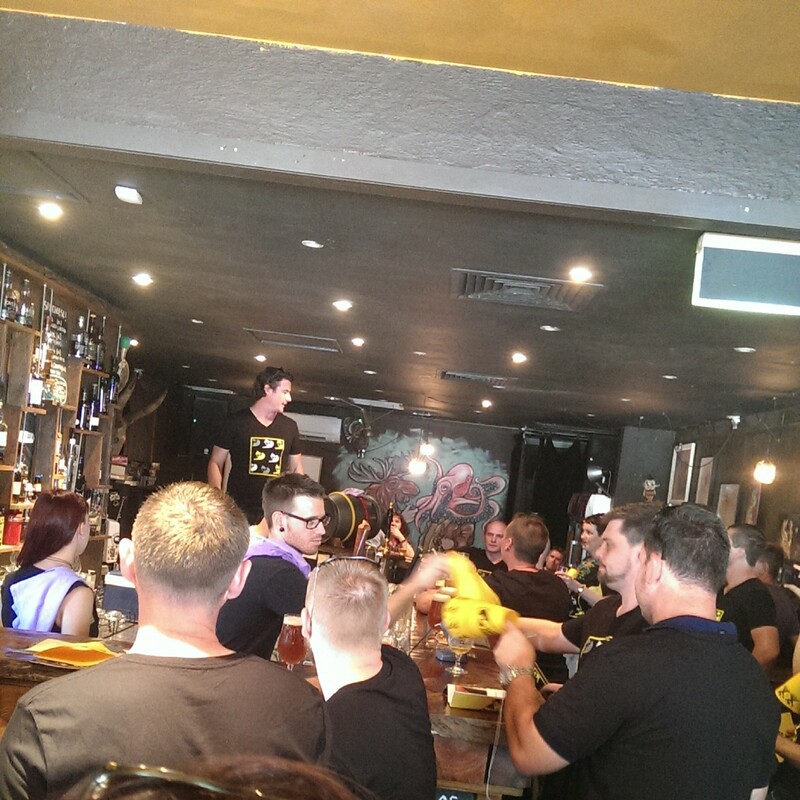 A large number of beer geeks of all description packed in and we began the day off with T-shirts and two beers. 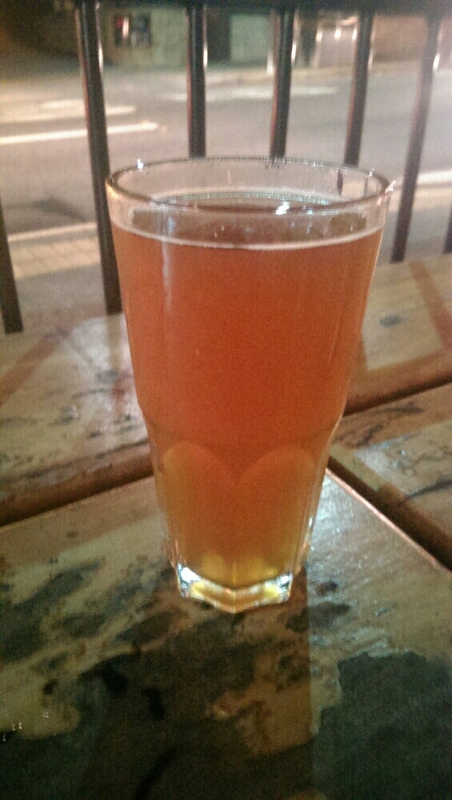 The Noisy Minor Zeppelin Kellerbier (4.6%) was first up, which I found to be a great start to the day. Light and refreshing, which was just what I needed in the afternoon heat. This was followed up by a the Bad Wolf (8.8%), an American IPA that really didn’t tick all my boxes, but was still quite nice. We then all piled into the bus and headed to our next destination: Bitter Suite. I have to say, the look on the patrons faces as this big party bus pulls up with rowdy beer geeks was priceless. So much for a quiet afternoon pint at your local. To those people we disrupted, I humbly apologize on behalf of my beery brethren. I think we were fairly well behaved anyway. 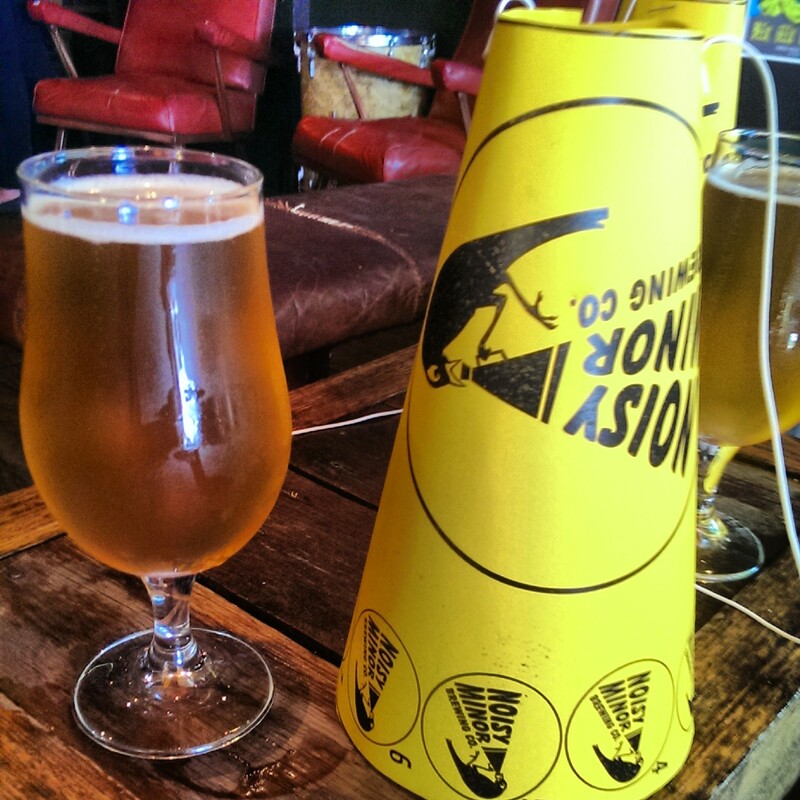 We were only on beers 3 & 4, which were the Noisy Minor Bellini (5.7%) and the Bete Noir (5.9%). The Bellini was a peachy fruit beer and was the first of the two we had in the “Cocktails” series. I thought this was a great beer and bridged a gap between beer and spirits. 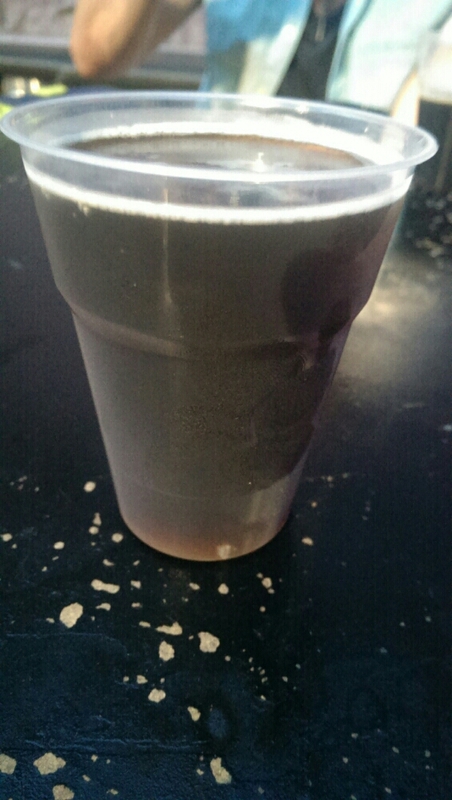 The Bete Noir was a Belgian style Strong Ale, which is a style I simply love, so needless to say, I thought it was great. Tippler’s Tap was stop 3 for some much needed food. Sliders, chips, and chicken wings helped soak up the 4 beers we had already consumed (some on the crawl were already beyond 4) as well as the 2 new beers there. 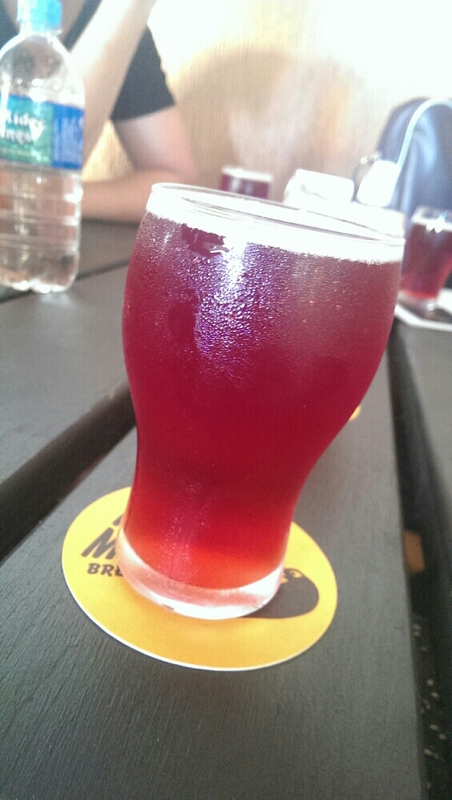 The Negroni (4.8%) was a spiced beer and the second of the cocktails series. A great beer, but my favourite of the night had to be the Admiral Ackbar (8.5%), a double red ale of tasty tasty proportions. Admiral Akbar – So red! By the time we reached our final destination of Archive, a few of us were already quite wobbly. It’s probably good the curry inspired Roggen Josh (5.7%) and the Dorian Gray (8.2%) Baltic Porter were last on the night. My taste buds tend to weaken a bit as a night carries on, but these had the strength to pop through the haze. The Roggen Josh especially was a bit surprising with huge cardamom flavours and was probably the most polarizing beer of the evening. Alright, so things got a bit silly. 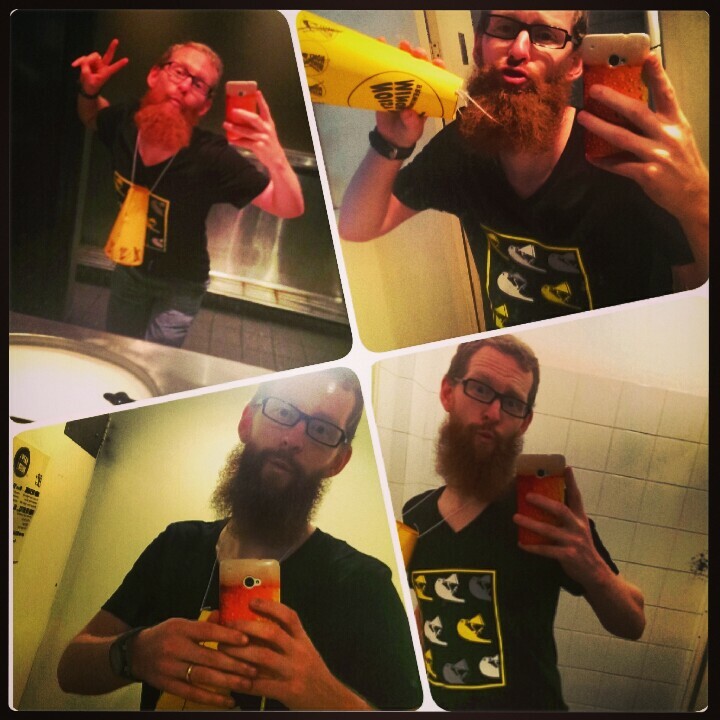 Things got a little weird when yours truly decided to start doing “Duckface bathroom selfies”. If you follow me on Twitter, you would have seen the majesty (or disgrace) which was the DFBS. To my credit, I think each duck face improved at each venue. I was a pro by the end of the night. A few of us decided to keep on going and to make a long story short, a food run turned into me standing at a taxi rank and not knowing how I got there. A great night all in all and I would like to send my sincerest thanks to Ged and crew for the invite. I had a great time and look forward to seeing what comes out of the new brewery this year. To back up a night like this, however, is a hard thing to do. I woke up pasty mouthed and with a headache that could stop a rhino. I was about to just call it a day, but thought “This is Brewsvegas Day One. If you don’t get up and do something, you’re going to regret it”. So I got my hungover backside out of bed, popped a couple Panadol, and went started my journey down to Kerbside for the Craft Alley event. As Jack from thewestbender.com says “Kerbside should use their back alley more often”. The space back there is big and open and added a great patio feel to the place. Having brewers representing the very best in Australian beer was a bonus. Some great drops from Ekim, Holgate, Stone & Wood, Brew Cult, and Beard and Brau, but the highlight for me was Bacchus’ Yummy Mummy Rocky Road (5.5%). Dessert beers should be more of a thing. A small group of us left Kerbside to head to Hoo Ha Bar for some food, but sadly, the Hoo Ha Beque was sold out by the time we arrived. From others I’ve spoken to who were there for it, it was great, but sadly, food would have to wait. We stayed around for a beer (mine, an Ekim Viking IPA) and then made tracks for a venue where we knew food was available. Galaxy infused cologne with a single hop Galaxy beer. 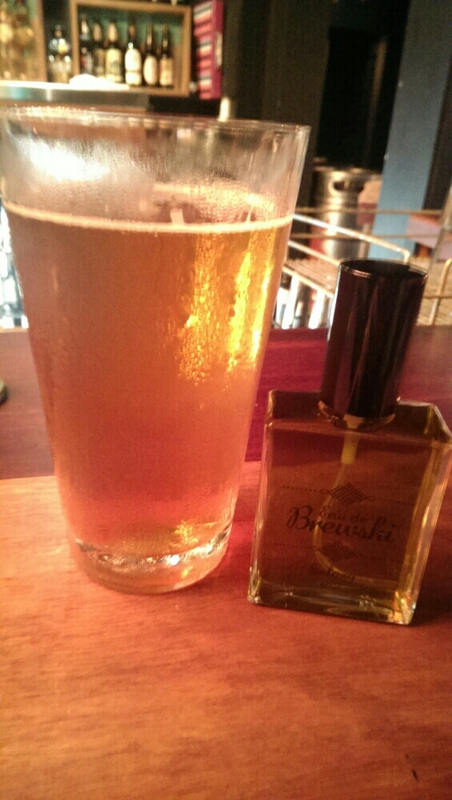 Since the Brewsvegas line up had come out, I’ve had my eye on Brewski’s “Eau de Brewski” event. Single hop colognes matched with single hop beer is something that is so left of center that I just had to go. We may have gotten there a bit later, but there were still plenty of bottles of the good stuff. I grabbed a bottle of “Galaxy” cologne, which smells amazing, a pint of the Bacchus Single Series Galaxy, and a pizza. With a satisfied stomach, I grabbed one more beer and then crossed the street for a beer I wanted to drink purely for the name. Cartel did a collaboration beer with All Inn Brewing called the Caxton St Cockpunch (5.9%). This American Strong ale was actually a nice palate cleanser after the single hop series over at Brewski. If you are in or around Caxton St this week, make sure to head into the guys at Cartel and try one. The final destination was Scratch, and by this point, I was running out of steam. Two days of large amounts of beer and little sleep caught up to me, but I still managed to put back a Beer Geek Rage Quit (5.5%) from BrewCult. Even better, I got to drink it with the inspiration behind the beer, Mr Matt Hofmann. The beer was a lager, yes, a lager, but an example of what a lager CAN be. It was really quite nice and full of flavour. So, 5 venues on day one. A pretty solid effort, if I do say so myself. Combine that with the Shout and I have to chalk this up to being one of the best weekends I’ve had in a while.